Hawkeye Forest Products is proud to operate a state of the art hardwood lumber sawmill. We specialize in sawing Walnut, Hickory & Cherry. At Hawkeye Forest Products, we have an 8,000 square foot building for green lumber grading and processing. 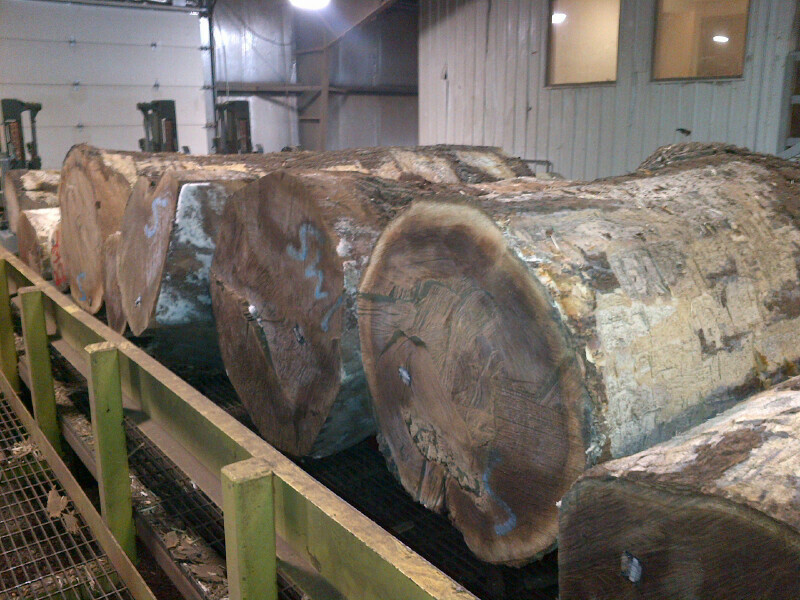 We check our green lumber loads to make sure we are receiving the proper grade and quality. Many hours are dedicated to procure the logs to saw for this precious hardwood. Each piece of our lumber is sorted by one-foot increments, then stacked and stickered at two-foot increments to ensure the flattest, most consistent lumber. We know our customers will be looking to produce a durable product that lasts a lifetime. That's why the lumber we provide incorporates the correct conditions for giving that tree a second life. We provide the utmost care when developing our green lumber.